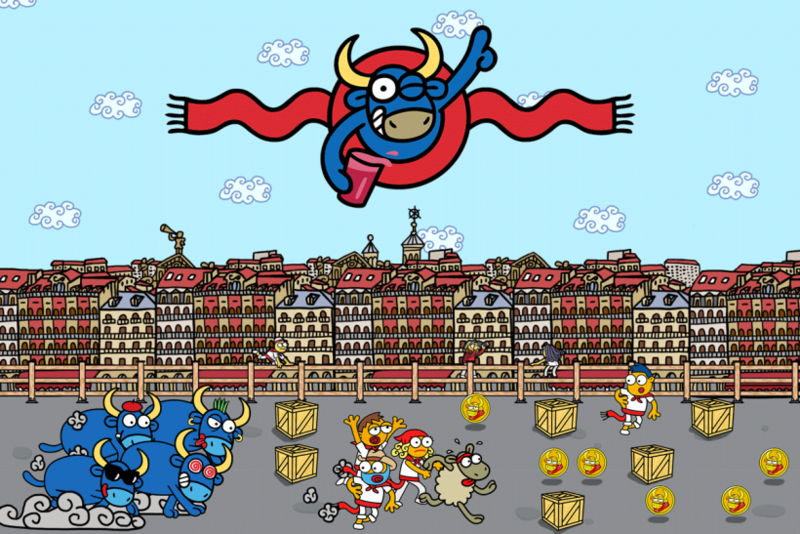 At Kukuxumusu when we talk about Sanfermin, we mainly think about Kalimotxo and dancing through the streets instead of about the running of the bulls. 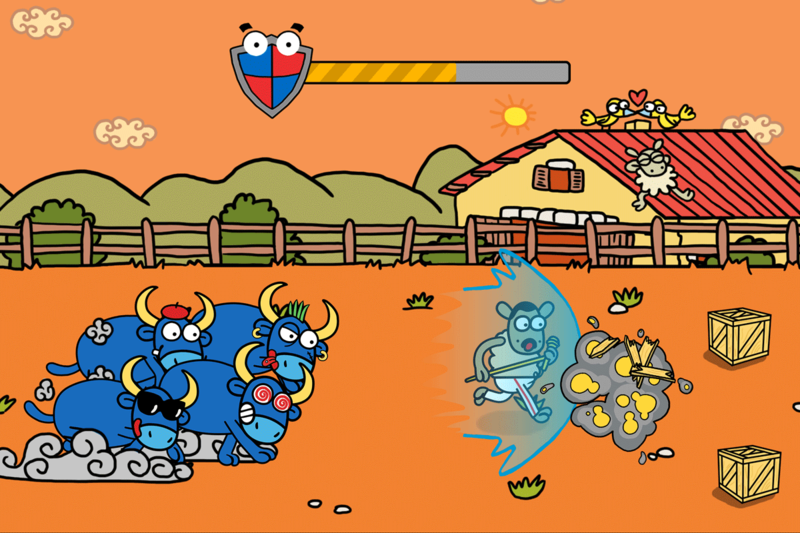 If you rather watch the bulls from behind the barrier, we have a solution: a new app developed with the help of Altivasoft, called Run San Fermín Run. The app, developed by Altivasoft, is avaliable for Android and iPhone. 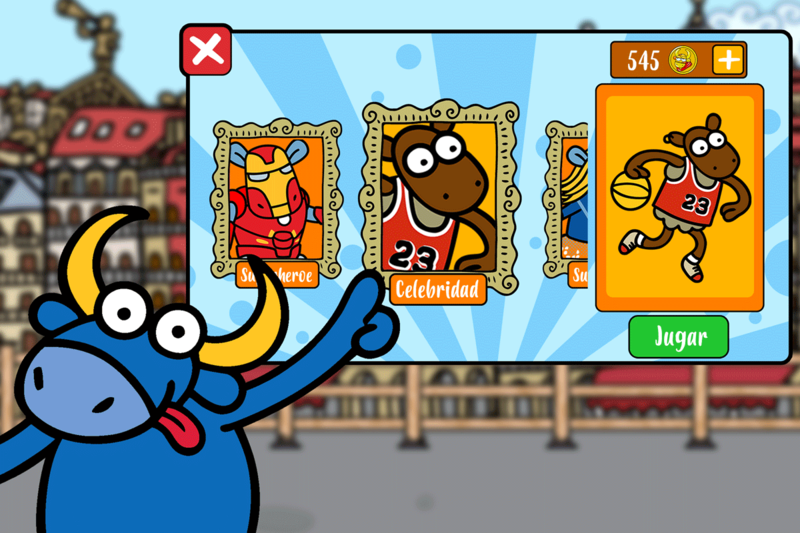 The game recreates the Sanfermin tradional bull runnings so that you can feel adrenaline. As we really love cool things we want you to run but dressed as you wish, you could become a superstar by choosing one of our characters. The aim isn´t as easy as it seems, avoiding the bulls isn´t your unique task as you will have to skip some traps while you collect coins and runners. The most competitive players will have the oportunitie to challenge people in order to become the best runner. Don´t worry if you are concerned about the assortment of the game as you will have daily challenges. The game, suitable for all ages, will have a payed version for those one who need more. Moreover, the game will be available after Sanfermin so that you cant deal better with the countdown. What are you waiting for?